Here comes a new challenger! The crowd-pleasing Rainbow Bomber, that superstar of the ring, Rainbow Mika, joins the SH Figuarts Street Fighter series! 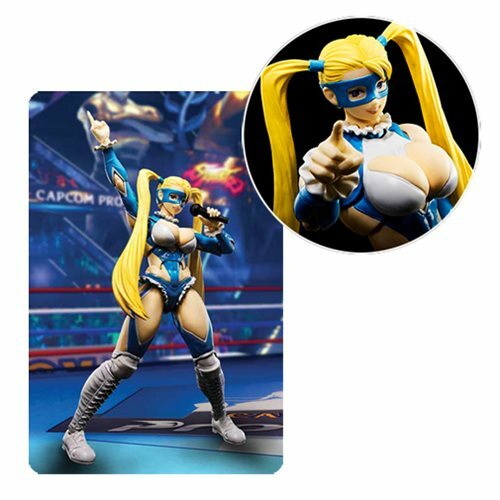 The Street Fighter Rainbow Mika SH Figuarts Action Figure is a must have for fans of the Street Fighter video game series! The figure includes 2x optional expressions, 3x right and 4x left optional hands, microphone, wingless airplane effect, and 2 backdrop sheets. Stands about 5 3/4-inches tall. Ages 15 and up.